In 2016 we opened the Signal Box. 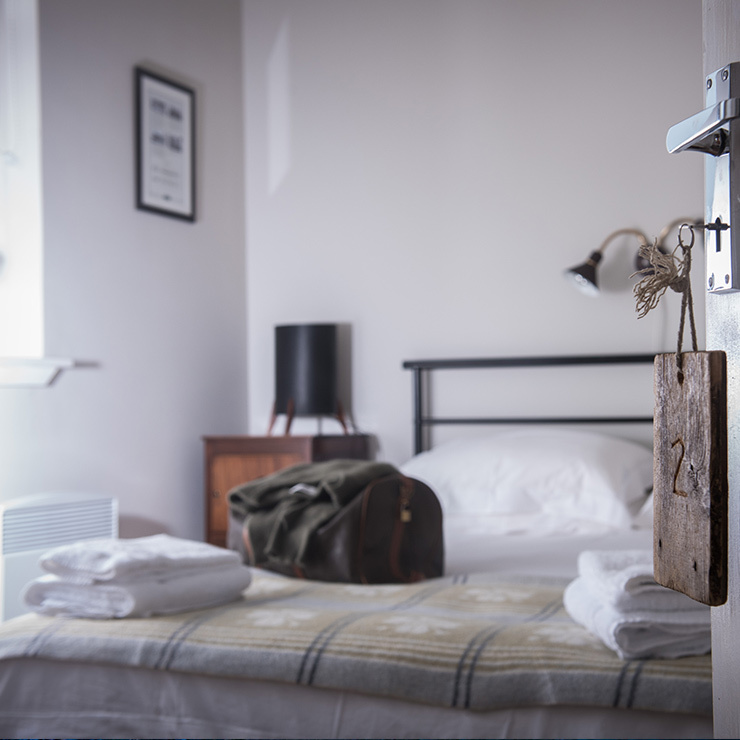 It has three cosy en-suite double rooms and a beautiful sitting room in the old lookout tower with spectacular 360-degree views. There is also a drying room for boots and waterproofs. A delicious full Scottish breakfast is served just across the railway track in the Station House – which is also open for lunches and dinners. This unique little hotel, right on the tracks, will appeal to lovers of remoteness, lovers of quirkiness and lovers of railways! The easiest and quickest way to book or check availability is via Air B’n’B – see the links below. If you don’t have internet access right now then give us a call on 01397 732 236. 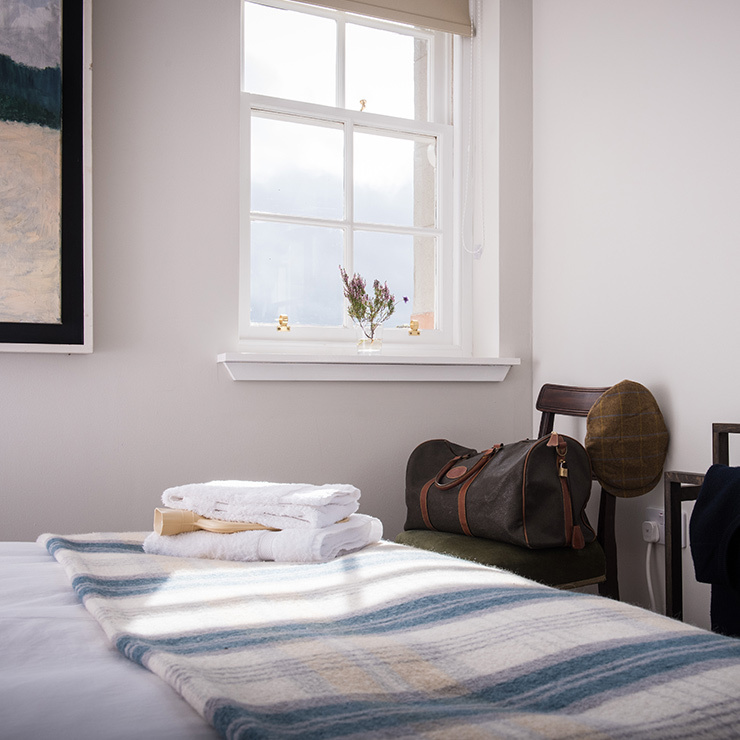 Double bedroom placed within the railway station’s former signal box. 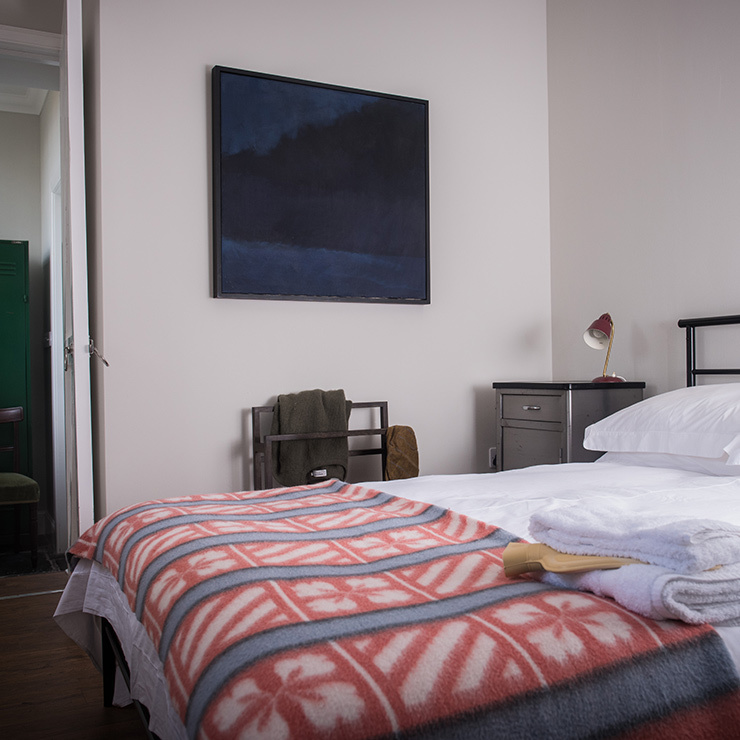 The bedroom hosts a King-sized bed and private en suite facilities.